Bully Free Community Alliance is a grass roots not-for-profit organization, dedicated to our community, by advocating and providing education, awareness, and other supports with respect to bullying in the interest of the civic, social and moral welfare of the community. 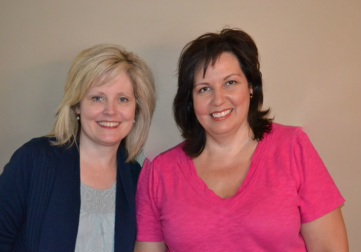 Bessie Vlasis and Gwyneth Anderson are the proud founders of Bully Free Community Alliance. They are two Moms who have had experience with school bullying with their children and their friends. The need for education and awareness on bullying, their passion to advocate and the lack of support for students and their families, who are affected by bullying, lead them to start this organization. Gwyneth is a mother of 2 amazing daughters and works as a legal coordinator in a Toronto law firm. Gwyneth has been involved with School Council at her local elementary and high schools, specifically focussing on creating discussions and initiatives around helping students and families feel welcome and empowered at school. Eight years ago she created the Newmarket Parent Network. This is a group of parents whose focus is on engaging parents and creating positive school communities by providing education and awareness on a number of topics. Advocating for children and youth is her passion. Bessie is a mother of 3 beautiful daughters and runs a family business. She has been involved in York Region schools since 2001. She was School Council Chair at both her children's elementary and high school. Her major focus is on caring and safe schools and creating positive school environments. Bessie ran for School Board Trustee in Newmarket in the 2010 and 2014 municipal campaign. Bessie’s major passion has been bullying awareness and making positive change within our community with respect to how we handle bullying and specifically support for victims of bullying. Bessie and Gwyneth are members of the York Region District School Board’s Anti-Bullying Working Group, the York Region Bullying Prevention Partnership and are members of Southlake Regional Health Centre's Patient and Family Advisory Committee on Mental Health. They have had a strong voice with making positive changes at their local school board, their municipality and at both the provincial and federal level. The dedication and commitment of Bully Free Community Alliance to advocate and support their community when bullying occurs is unprecedented. Please join us in helping build and sustain positive communities! Our lives begin to end the day we become silent about things that matter. - Dr. Martin Luther King, Jr. Remember - we are here and we are happy to help.